How were games developed in the past - and how now? Is it complicated? And are there easter eggs in these games? Is there any difference in the game development in the past and now? You can bet on it! Even if we completely skip the earliest history when computers were not able to show any graphics, but only characters (yes, even in these times there were computer games), and we skip even the era when computers supported only two colors, black and white - or very limited palette of colors, the world of game developers used to be much different than it is today. First of all - in the past you had to write all the code yourself - from scratch. What does this mean? If you wanted color cubes, a muscular hero or a spaceship on the screen you had to write a program that placed all the color dots to the right place. And if you wanted a sound you had to make some research to get information about what numeric instructions it is necessary to send to sound cards, which those more fortunate computer owners used to have in their PCs. And then, of course, you had to write the code of your game itself. Today, this all is much easier. Do you want to display a picture? Just call the correct function and the image - for example a jpg or png file - is displayed. Do you want to play music from mp3? Again, use just one instruction. Or, well, let's admit that there are some auxiliary instructions around, but it is certainly much easier to perform these actions today. And it is much easier to perform other tasks as well, for example to resize an image, to display a text or to retrieve saved data. But then there are things that are considerably more difficult today. In those early days mentioned above your game used to have the whole computer for itself, so you had it all firmly in your hands. You just initialized the graphics and sounds, you made, what was necessary, and saved the game state to a disk in the right time. Today it is different. For example Android OS can send you (ok, to your app) a message that you have quickly interrupt whatever are you doing right now, because a phone call is coming or your user just switched to another application, and it is your problem that you re in the middle of an extensive animation where it is complicated to store the current position of each graphic object. And this is just one example. There were some big names among the game developers in the past - and, of course, even among the Adventure games developers. Let's name at least a few of them here. And let's start with William Crowther, whose pure text adventure game Colossal Cave used to be very popular. Crowther, a programmer, but also an enthusiastic caver, took you in his game to an extensive cave system. The game was released in 1975! In the field of graphic adventure games there are definitely two heroes: Roberta and Ken Williams, husband and wife. She was working as a game designer, he as a programmer and together they founded a company named On-Line Systems - later renamed to Sierra On-Line. Their company released apparently the first graphical adventure game called Mystery House in 1980 - and it was followed by many others, mostly very famous titles. For example King's Quest, Police Quest, Space Quest and Leisure Suit Larry series. Even many famous people - well known for their achievements in other areas of human activity - were working on adventure games. Let's just mention the famous writer Douglas Adams, who in cooperation with the Infocom company created a game based on his book The Hitchhiker's Guide to the Galaxy - and other, lesser-known, game called Bureaucracy. As in other types of software, even in adventures you may run into hidden corners in which you can find something you would not expect there. Seemingly senseless actions that the game developers created just for their fun - and for fun of some players. Easter eggs. Maybe you might be surprised that in the classic adventure Day of the Tentacle, you can also play its favorite predecessor, the game Maniac Mansion. How? When its hero Bernard comes into the room of Eda Edison, he must use his computer. And the game Maniac Mansion is there. 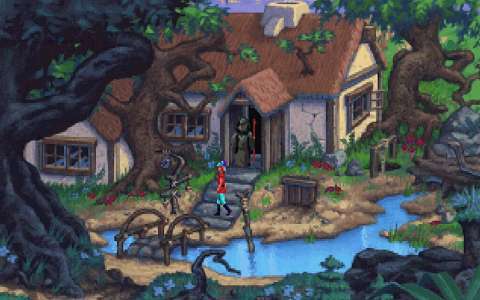 And finally, as a third example, we have Secret of Monkey Island here. In one scene its hero, Guybrush, is caught in a deadly trap from which he can get if... Well, it's not so important how. But if you let him in the trap long enough, about ten minutes, then he dies in a quite unusual death. But because authors of this game did not want to bother players, the hero is then revived and explains everything. Let us go back to the game programming for a few moments. It is now much easier than it used to be for many reasons - and one of them is this: We have the Internet, so it is easy to quickly get all information we need. Appropriate information about game programming is at our fingertips - just a few clicks in a search engine or an e-book e-shop away. You easily get basic instructions and examples on how to do this or that. Right at the start you probably find out that for the development of applications for Android it is good idea to use Eclipse IDE with Android SDK (software development kit). You will find a lot of examples of apps there. Instead of Eclipse you can also use Android Studio from Google. The decision is yours. To develop for iOS devices from Apple, you have to use Xcode. Now you can develop in the Swift language (inside Xcode), which makes it easier for the less experienced programmers. And let's not forget Windows, where Visual Studio reigns. As in the case of the instruments mentioned above, even here any developer can develop even without any huge initial investment, because you can download a free version of the Visual Studio named Express. It must be noted that it is not always necessary to develop the entire game from scratch. There are a number of free (and paid, of course) tools, which enable you to avoid a lot of tedious programming. The first very powerful tool is named Unity. Unity is a game engine with a set of tools that greatly facilitates the creation of games and multimedia applications by offering a lot of functions. You can develop both 2D and 3D games in the Unity and the range of features it offers is really wide. If you are completely sure about what games you want to develop, you can grab even easier - more comprehensive tools. As our magazine GameCondor is primarily devoted to adventure games, we have two tips for this type of games here. The first one is Adventure Game Studio. 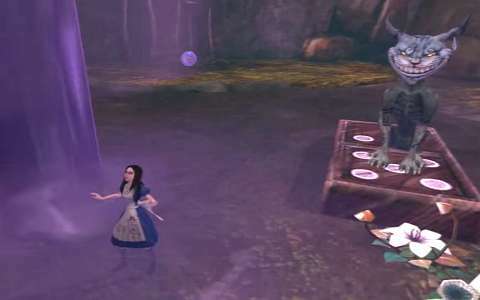 It is an application that you install on your computer and then just put there some graphics and other media, write scripts, and then you can run the game in the engine, which is part of the Adventure Game Studio. You can only develop games under Windows, but you can run them on all platforms for which there is an appropriate AGS engine. And then there is the GameStylus tool - you can create there your adventure game as easily as it could be possible. There is no need to install anything, the GameStylus editor runs on-line. So you just log in, upload your graphics and other media, define the scenes - using mouse - and using a few of very simple commands specify what happens there. The game can be played in an engine which is available for Android for free. For some people it is more fun to play games, some people like more creating them. Whether you belong to the first group or to the second one, there are definitely many opportunities to have fun. And even creating games is now more affordable than ever.